Solar Panels from CPS Energy: The San Antonio utility’s brilliant new business model for renewable energy. Take My Solar Panel, Please! San Antonio just announced a brilliant new business model for renewable energy. It’s free—and they’ll pay you. 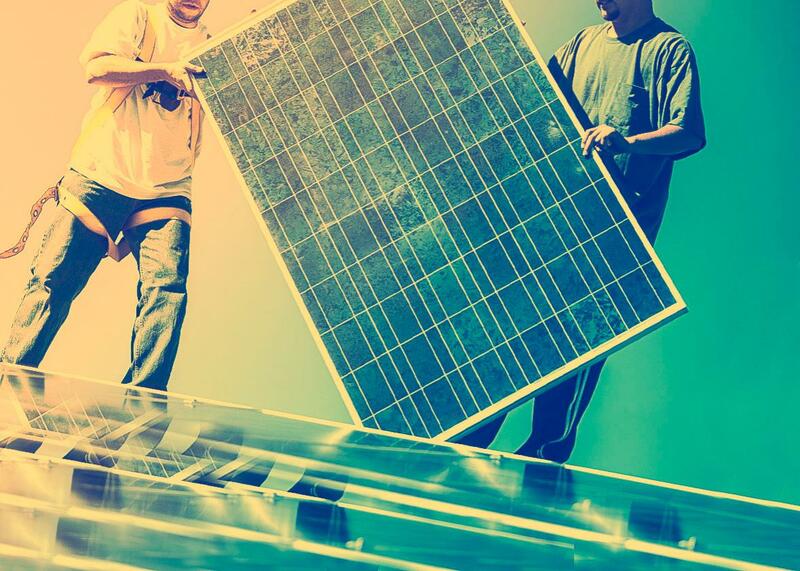 The business model surrounding rooftop solar has changed dramatically in the past decade. Several years ago early adopters had to spend a lot of money to buy expensive home systems—with no hope of recouping their investments. As prices of silicon panels came down, homeowners in the next wave could look forward to a 20-year payback period. Next, companies like SolarCity changed the game by creating the solar lease—which required no money down but a long-term financial commitment that promised to lower monthly electricity payments. The next step in the evolution? Forget about no money down. Now the power company pays you to put the solar panels on your roof. That’s what is happening in San Antonio. Last week CPS Energy said it would offer residents cash—in the form of monthly credits on their electricity bills—if they would just agree to let a third party put solar panels on their roofs. CPS is already pretty progressive when it comes to providing low-emissions electricity. According to its 2014 annual report, only 28 percent of its capacity was provided by coal (far lower than the national average), with 43 percent from natural gas (lower emission than coal), and 14 percent from nuclear (no emission) and 15 percent from renewables (ditto). For the past seven years, CPS has offered residents the ability to put solar panels on their roof under a net metering model—homeowners use the electricity the panels produce and then sell the excess to the grid. This effort has managed to sign up about 2,100 residential and business customers with a combined capacity of 24 megawatts distributed throughout the service territory. Which isn’t bad. But Raiford Smith, vice president of corporate development and planning at CPS, said there’s a flaw in this strategy. When people consider solar for their rooftops, the main barrier typically has to do with the structural characteristics—the roof has to point the right way and has to support the panels, and there can’t be too many trees around. But CPS noticed that a second barrier loomed much larger: finance. While leasing programs do away with the need for big upfront payments, they still require credit checks and long-term financial commitments, and don’t necessarily offer immediate financial returns. As a result, the rooftop solar program “was just appealing to a very small group and it was tightly clustered in its geographic dispersion,” Smith said. Which is another way of saying that the vast majority of San Antonio residents putting solar panels on their rooftops tended to be well-off people in gated communities in the Stone Oak area. And the fact that an intermittent power source like solar (the sun shines only during the day) is so concentrated in a particular area has made it more difficult to manage the impact on the grid. So CPS hit on an insight. It could rebalance the grid, and rebalance the rollout of solar, by putting its money where its low-emission plans were. The idea? CPS, which as a municipal utility can borrow money at lower rates than solar installers or homeowners, would start a program. It would make deals with local solar companies, which would buy panels and place them on roofs in the city. These companies would maintain and insure the panels, and reap the associated tax credits. CPS would commit to buy the output of the panels, which would be funneled into the grid, at a price that is competitive with what it pays for electricity from other sources. And in exchange for offering up their roofs for a 20-year period, homeowners would get a credit on their monthly electricity bills of 3 cents per kilowatt-hour of electricity produced. Smith said a typical customer could get a credit of about $30 per month simply by hosting the panels. Last week CPS announced that it wanted to place up to 10 megawatts of rooftop solar in its service area through this model—enough to cover some 100 acres, or about 2,000 rooftops. In the first three days after the announcement, more than 2,000 people applied—as many people as had installed rooftop solar in the past seven years. This isn’t an entitlement. Smith said CPS will evaluate each applicant and will put panels on roofs only where the conditions are appropriate. Now, 10 megawatts of capacity is relatively modest—it’s equal to about 1.5 percent of CPS’s overall capacity. But this is an important and potentially revolutionary step nonetheless, for a few reasons. First, it’s the first large-scale program to pursue this model. (Arizona utility APS is trying a similar pilot program for a much smaller number of homes). If it works, CPS could easily scale it up. Second, it represents an important change in attitude. Typically utilities have fought or resisted the spread of rooftop solar because it cuts demand for their services while still requiring them to maintain the lines and system that feed electricity to solar-augmented homes at night. CPS has found a way to promote distributed solar in its service area without losing any customers. Third—and most significantly—by flipping the switch on the financial incentives surrounding solar, CPS is making it appealing to a new class of consumers. Even well-off people have to think twice and run the numbers before committing to a solar lease or buying a rooftop solar system. But for people at all income levels, the prospect of collecting rent on unused roof space is a no-brainer. I can think of few better ways to combat the scourge of green privilege.